In the discourse around energy and climate, it is often said that energy efficiency is the cheapest, cleanest and most abundant source of energy. The premise being: Energy is not used, therefore it does not need to be generated, transmitted or distributed – a Nega Watt (negative of a Mega Watt) – a term coined in 1989 by Amory Lovins of Rocky Mountain Institute. If one were to consider the notion of the cost per unit of energy saved from energy efficiency projects; when done right, energy efficiency always offers the lowest levelized cost of energy – by far – when compared to any other source of energy. It goes without saying that energy that is not used is cleaner than any other source of energy. Across sectors and geographies, abundant opportunities lie untapped in terms of the energy efficiency potential. So, while this works in principle – and in practice – for developed economies; does this position make sense for an emerging economy, where the challenge is usually of an energy deficit (more demand than supply, or more energy imports than consumption)? Let’s consider the case of India here, as an example. India is the fourth largest consumer of energy in the world, but it is only the seventh largest producer of energy worldwide. In terms of primary energy, our deficit is about a third of our overall energy need; that is, the energy we produce at home only covers two-thirds of our needs. Put another way, we need to import 50% more energy than what we produce in India. Over 17% of the global population that resides in India uses less than 5% of the total energy consumed worldwide. Approximately 300 million people in India are without access to electricity and another 400 million or so have access only for 5-6 hours a day. Given this context, is it even morally right to talk about energy efficiency first, for India? Well, as it turns out, it still makes perfect sense to prioritize energy efficiency at the end use, as a source of energy, even in India. To better understand this, let’s consider the energy efficiency opportunity (the difference between best practice energy performance and business as usual) across sectors in India. Best-in-class o ffice buildings in India consume 60-80% less energy than business as usual. Best-in-class hotels and hospitals consume 50% less energy than average. Even a best-in-class steel plant consumes 30% less energy than its run of the mill counterpart. While it’s easiest to capture this opportunity cost-effectively (with no added costs) in new projects; even in existing facilities, at least half of this opportunity can be tapped with a compelling business case (2-3 years effective simple payback). There is a caveat here though – it needs to be done right – integrative design approach, right steps in the right order, energy efficiency upgrades in sync with replacement cycles, and so on. Now, let’s connect this energy efficiency opportunity with the fact that over two-thirds of the building stock that will exist in India in 2030 is yet to be built. So also for power generation capacity – what we have now is only about a third of what we will need in 2030. This is likely the case for all sectors. Taking into consideration plant efficiencies along with transmission & distribution losses in India; it takes 4 units of primary energy input at the power plant to deliver 1 unit of electricity at the site. But, these compounding losses in the electricity supply chain become compounding gains if we can capture the energy efficiency opportunity at the end use. Every unit of electricity not needed at site reduces the need for 4 units of primary energy input at the power plant. So, if it is technically possible using state-of-the-shelf technology to cost-effectively (with no added costs) reduce the electricity demand at site – thereby reducing the need for additional power generation capacity – by 50%; why wouldn’t we consider it as the first fuel? Even if we were able to scale up and capture only a quarter of this energy efficiency potential nationwide, we’re still talking in terms of avoiding the need for approximately 100 typical thermal power plants, give or take a dozen! The economic, environmental and social benefits make a compelling case for energy efficiency as the first fuel, especially for an emerging economy. Well discussed article Aalok! I have a naive question. How do you see the role of Government, power generation companies and distribution companies in India in terms of participating as investors for building energy efficiency or for providing incentives to the EE adopters? Does is make business case for them? Thanks, Kanagaraj! Yes, EE as a resource does come with a compelling business case for the society at large; and therefore for the government as well as for the distribution utilities (not sure how it works for generation utilities). From my own experience, just last year, I worked with a team that developed a Design Assistance Demand Side Management program aimed at driving super-efficient (30% better than code) new commercial building construction at scale in India (along the lines of the California Savings by Design program and the Energy Design Assistance program by Xcel Energy). The program we developed passed all the benefits-costs tests stipulated by the state electricity regulatory commission. 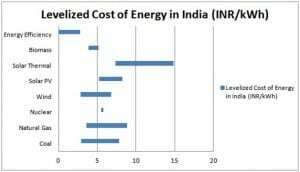 And the cost of supply for the distribution utilities ranged from INR 0.90 to INR 2.40 (USD 0.01 to USD 0.04) per kWh. I believe conventional cost of supply for distribution utilities in India is typically around INR 4 (USD 0.06) per kWh. 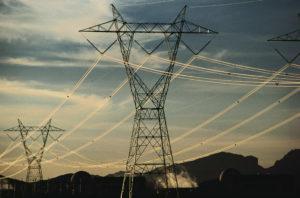 Also, do a web search on the terms “loading order energy efficiency” to see how the State of California is actually prioritizing investments in EE in order to meet their growing electricity demand. Dear Aalok! Good article. Could you please share some more information about Design Assistance Demand Side Management program aimed at driving super-efficient. Thanks, Aleksandr. The specific program I worked on is yet to be implemented, and a report on our recommendations isn’t yet in the public domain. However, you can look at http://www.savingsbydesign.com/ and http://www.xcelenergy.com/Energy_Solutions/Rebate_Finder_Tool/Energy_Design_Assistance_-_MN for a lot of good information on how these programs work. I’m happy to share any further specific information you may want over email! Good article. Could you please share some more information about Design Assistance Demand Side Management program aimed at driving super-efficient. Thanks, Krishna. The specific program I worked on is yet to be implemented, and a report on our recommendations isn’t yet in the public domain. However, you can look at http://www.savingsbydesign.com/ and http://www.xcelenergy.com/Energy_Solutions/Rebate_Finder_Tool/Energy_Design_Assistance_-_MN for a lot of good information on how these programs work.